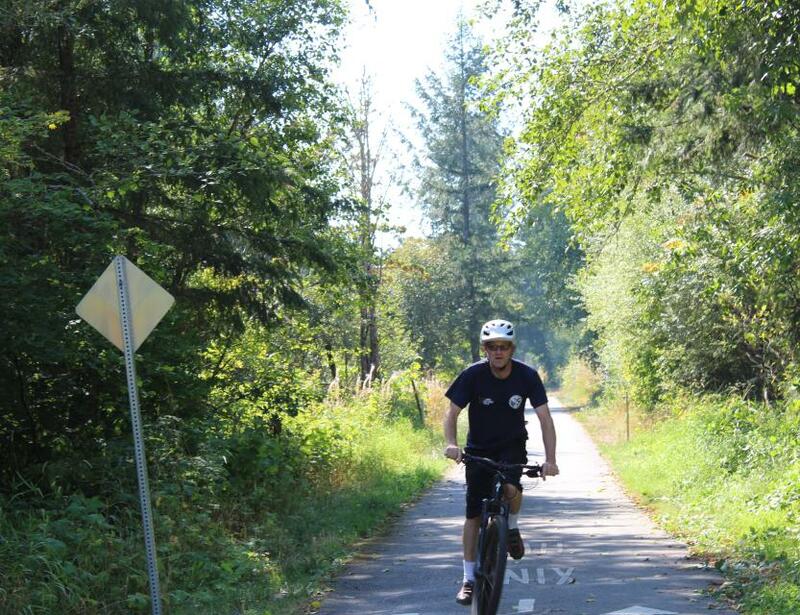 The Yelm-Tenino trail corridor was acquired by Thurston County 1993. Historically it operated as a railroad from about 1869 through the late 1980's. This 14.5 mile line runs east-west through the southern portion of Thurston County and connects the communities of Yelm, Rainier, and Tenino. The trail traverses forest and agricultural lands, wetlands, creeks, and other habitat and runs parallel to State Route 507. The trail begins near Yelm City Hall, passes near Wilkowski Park in Rainier and ends at Tenino City Park featuring views of the Deschutes River west of Rainier and of McIntosh Lake near Tenino. 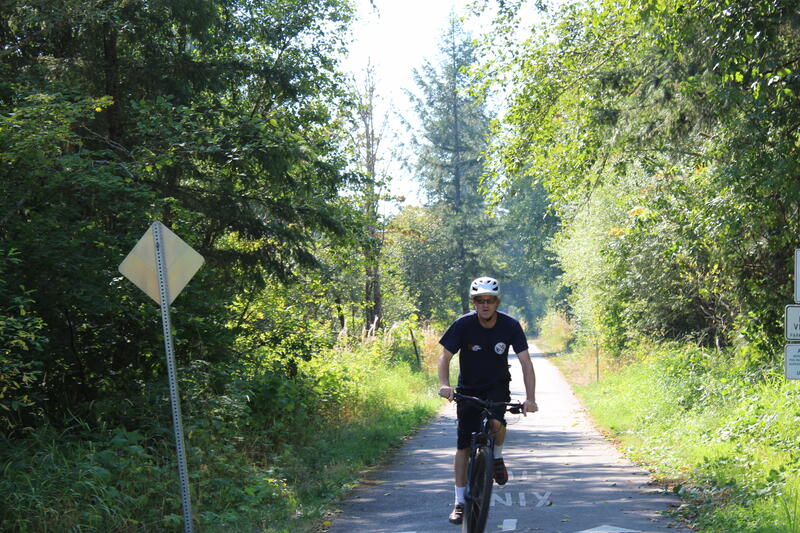 The Yelm-Tenino Trail intersects with the 22-mile Chehalis Western Trail, linking the cities of Yelm, Rainier, Tenino, Tumwater, Lacey, Olympia, and Woodard Bay on the Puget Sound. Permitted uses of the trail are pedestrians, bicycles, and other forms of non-motorized use. The Yelm trailhead is located behind the City Hall and features parking, picnic tables, restrooms and an information kiosk. The Rainier trailhead is located between Centre and Minnesota Streets behind Rainier Market with restrooms available. The Tenino trailhead is at the Tenino City Park on Washington Avenue with access to restrooms.